The village that may become a crossing. Let’s face it: it’s not terribly difficult in Bremerton to find a barren parking lot abutting a shuttered strip mall. If you’ve taken a drive down Wheaton Way anytime in the last decade, you know what I’m talking about. But look closer, and you might find signs of life. Take, for example, Sheridan Village, at the corner of Lower Wheaton Way and Lebo Boulevard. The once-bustling commercial mall, anchored by Red Apple Market, was pretty much a thriving marketplace in the decades following World War II. 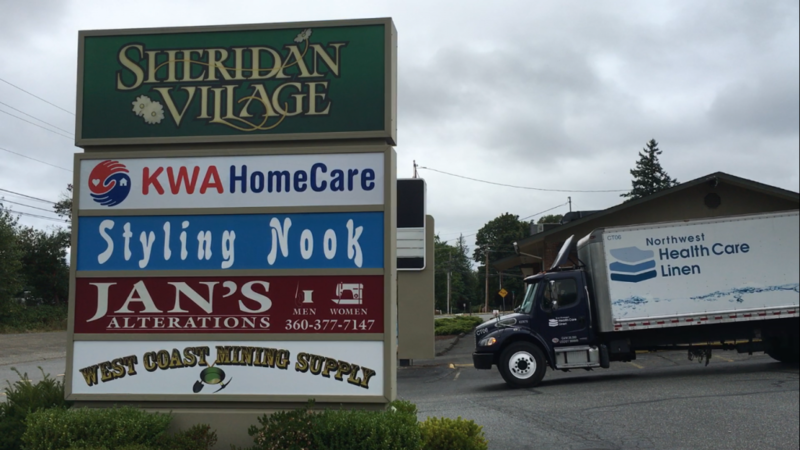 But in the 1980s, as the baton of retail hub was passed from Bremerton to Silverdale, places like Sheridan Village suffered. Despite its proximity to Harrison Medical Center, downtown and Highway 303, the place has nearly been a ghost town in recent decades. But this year, the complex has been filling up. In the last six months, five new businesses have opened, leading to new hopes for growth in the area, said Ken Malmborg, the property manager for Sheridan Village. “It’s in a rebirth cycle,” he said. The complex’s owners are looking at re-branding the village into “Sheridan Crossing.” And two businesses are holding grand openings there this Saturday. The Salad Shack, at 722 Lebo Boulevard, and H&J’s Natural Beauty Supply next door, are owned and operated by longtime Bremerton residents. 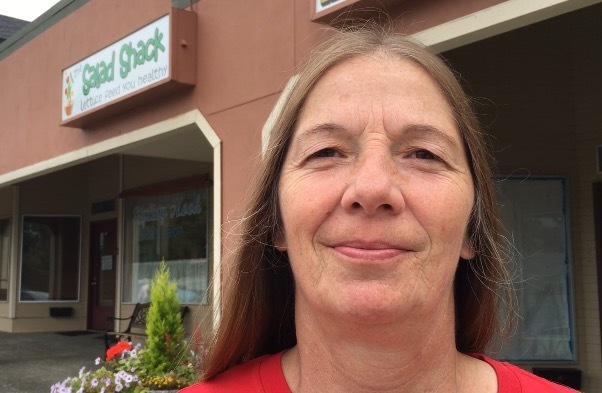 “It’s starting to boom here,” said Lanette Duchesneau, owner of the Salad Shack. The mall’s tenants point to several factors to explain the growth spurt: the increasing popularity of other neighborhoods, including Manette, downtown and Kitsap Way areas, the reconstructed Lower Wheaton Way (and soon, Lebo Boulevard) and the efforts to create a “bridge to bridge” walking trail between Manette and Warren Avenue bridges. It can’t hurt to have a hospital nearby, the owners acknowledge. And that hospital is leaving. But many of the businesses remain optimistic that they’ll remain without it. In Duchesneau’s case, she’s hopeful word of her restaurant will spread. “If it’s good, they’ll come,” she said. The headline claims five new businesses, but the article only mentions two. I’m curious: What are the other three?